NextStop is an iPhone/iPod Touch app for New York City Subway riders who don’t like to waste a minute. At a quick glance, it tells you when the next train is scheduled to arrive based on your current location, selected station, or pre-defined favorites. With this information in hand, it’s easy to figure out the quickest route between point A and point B. For the 1,2,3,4,5,6 lines and Grand Central Shuttle, realtime arrival estimates are provided (requires an internet connection). For all other lines, or when an Internet connection is unavailable, MTA schedules are used. For more information see: http://brooklynappfactory.com/realtime. Please Note: Arrival times for lettered lines are based on MTA timetables, however trains sometimes run ahead or behind schedule, so please use information as general guidance only. For best results, make sure that your iPhone is set to "Set time automatically" (under Settings > General > Date & Time) and get to the station at least 2 minutes before your scheduled arrival. NextStop is officially licensed by the MTA and all graphics are used with permission. 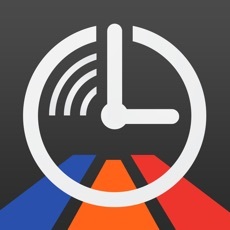 - Displays your favorite stations based on time of day (morning commute, evening commute, etc.). - Shows upcoming stops at all stations near your current location. - Shows upcoming stops (including times) for selected train. - Includes the official MTA map. Clicking a station displays upcoming stops for that station. - Displays MTA service alerts (delays, service changes) and advisories (planned work, etc). - Allows browsing of lines and stations to find next stop for any train. - Allows selection of date and time to view past/future schedules.